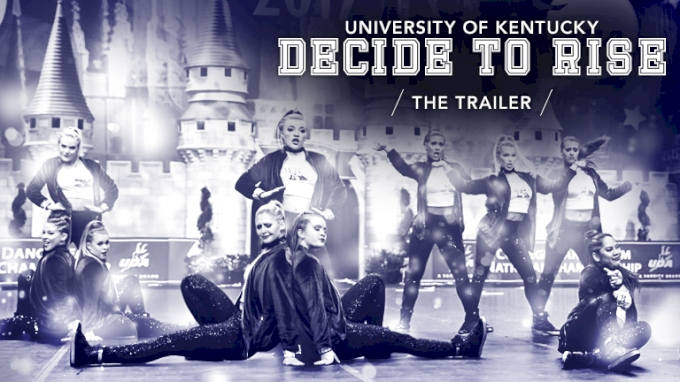 In this two-part Varsity TV documentary, watch the University of Kentucky Dance Team compete for titles at UDA College Nationals 2017. After a few adversities in 2016, UK took on a new motto and prepared for 2017 like champions. 'Decide to rise' is their mindset heading into the championship, and carries them through the two-days of tough competition. Historically UKDT has been a major competitor in D1A, and continues to rise to the top in both Pom and Hip Hop. Watch the team's journey through the championship as they earn their highest placements yet.